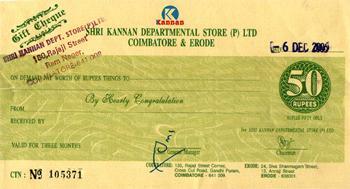 Send this voucher to your near and dear ones to enable them to purchase things of their choice. These coupons can be used over a period of time and hence offers great flexibility. The store retails in Groceries, stationery items, crockery, toys and much more.